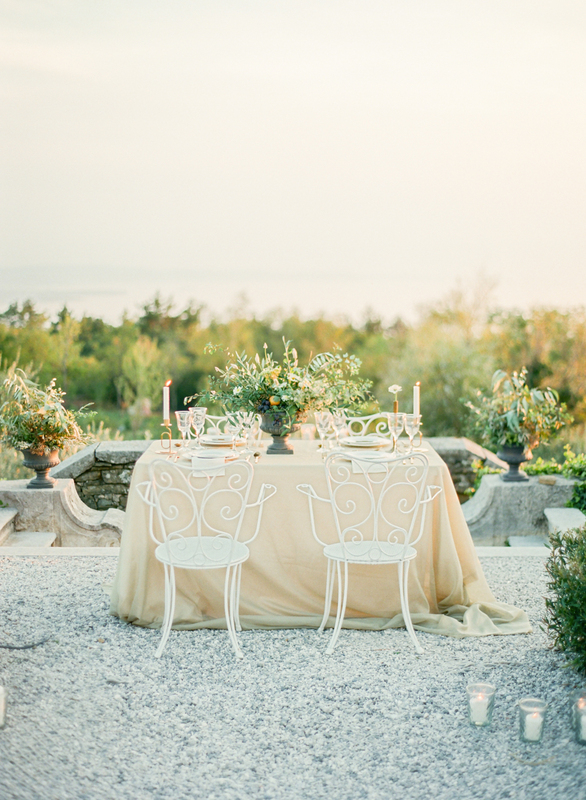 The lace of a white bridal shrug, the candlelight and the stars tripping on the Adriatic Sea. 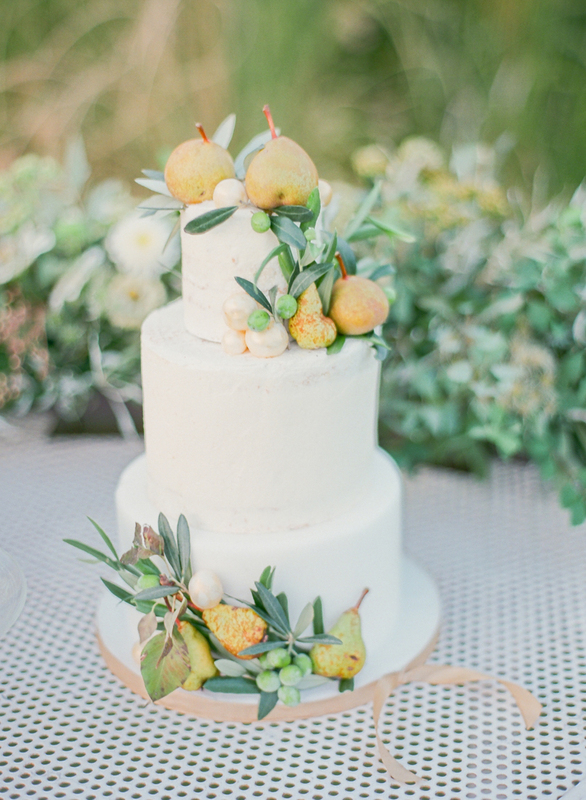 Sweet treats as light as air, frosting and fruits from orchards and vineyards. 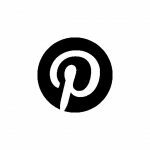 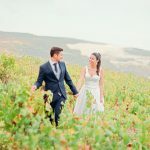 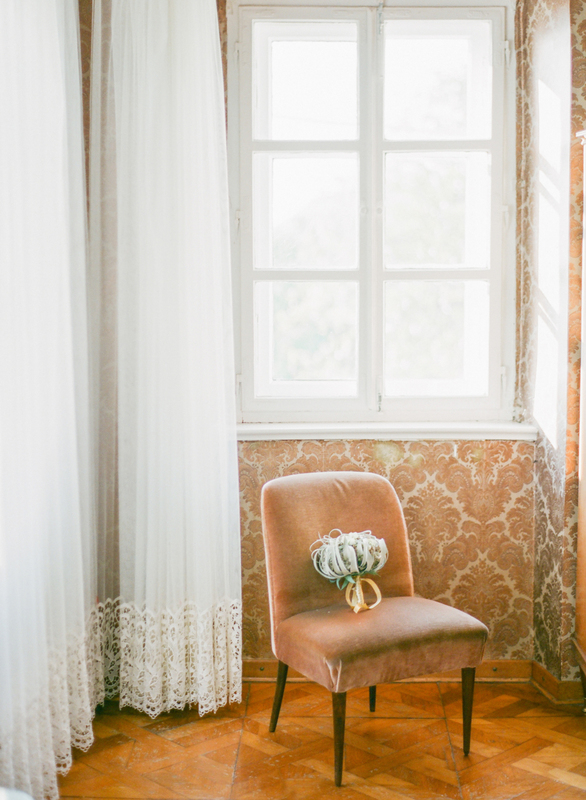 These are just some of the tiny intimate moments that are captured in a romantic wedding in Italy. 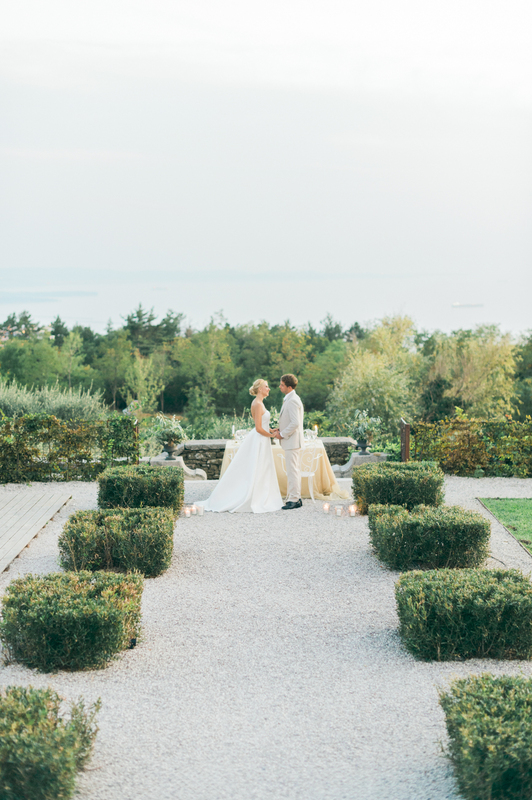 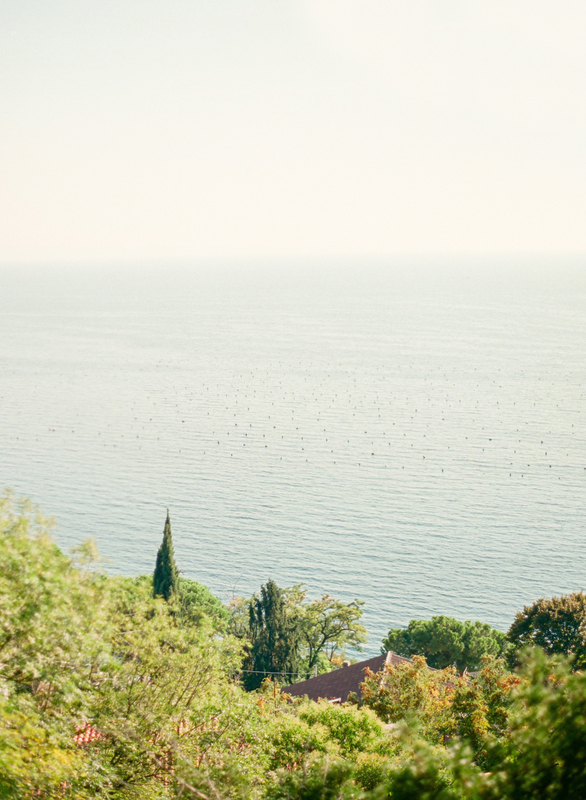 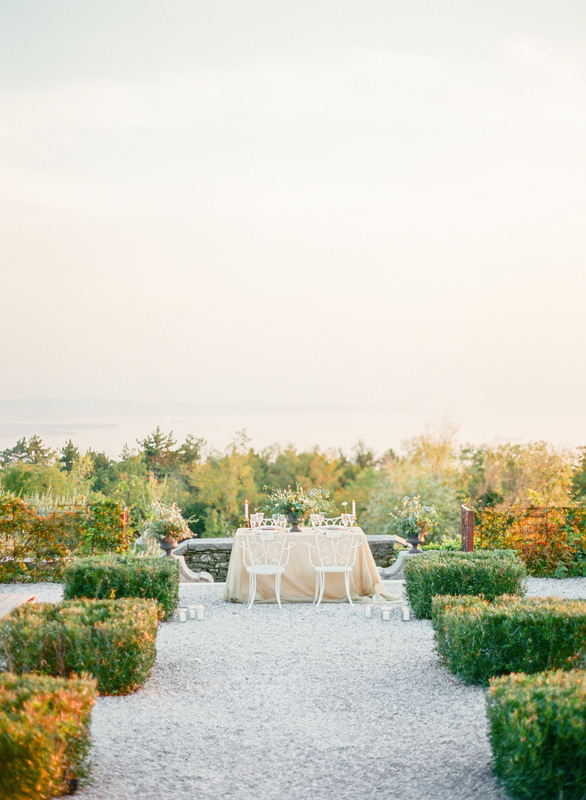 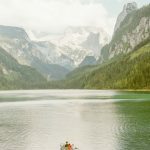 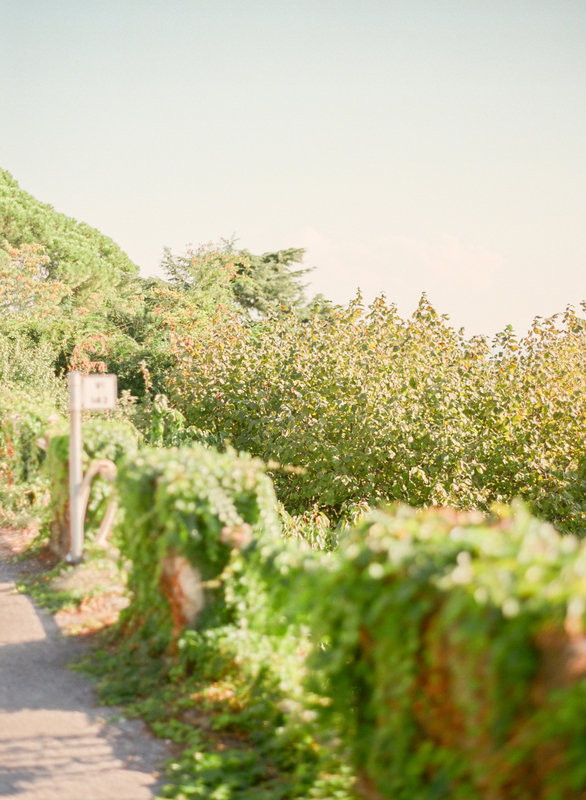 Villa Bonomo weddings in Trieste, on the Italian Riviera, combine elegance and simplicity to create a dream Italian wedding, and weddings in Villa Bonomo bring a radiance to the backdrop of the panorama of the setting that is as much a compliment to nature as romance is to love. 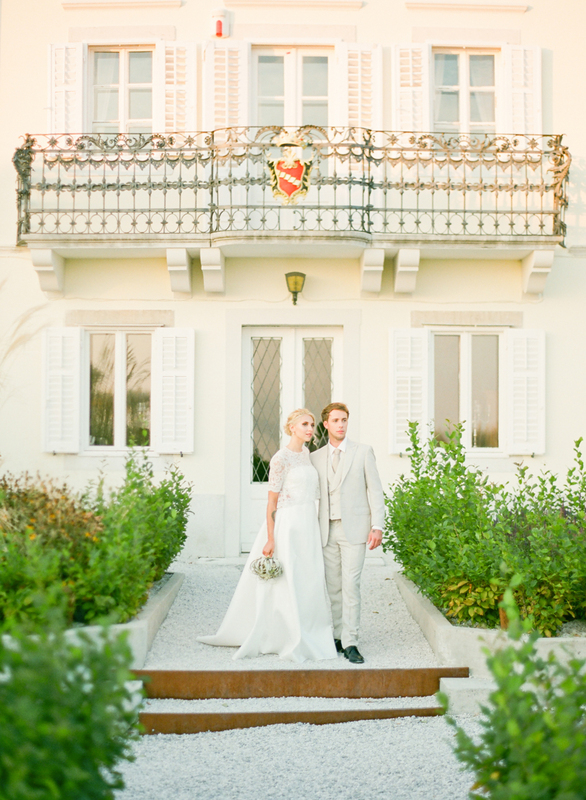 Villa Bonomo is a scene set for a princess and her prince and weddings in Villa Bonomo elevate hearts and confirm emotions. 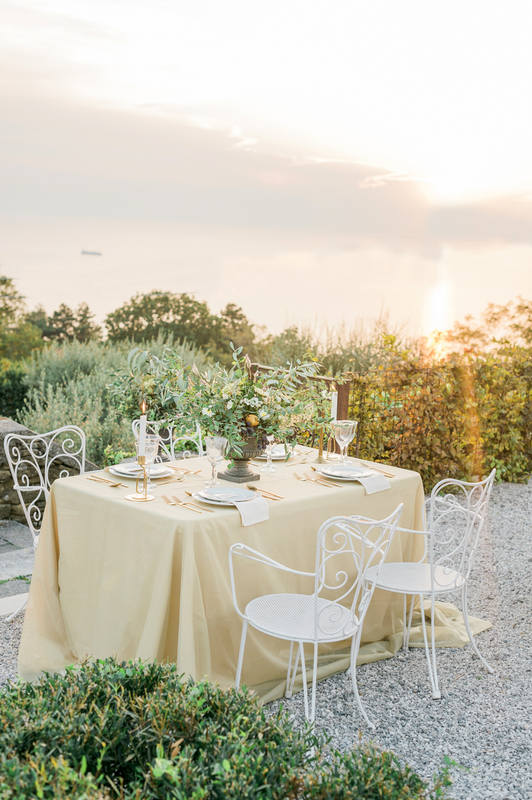 Wedding planner Le Petito take care of the intricacies of a perfect wedding in the Italian Riviera and our wedding planner Alessandra knows how to set the scene for love and romance to blossom. 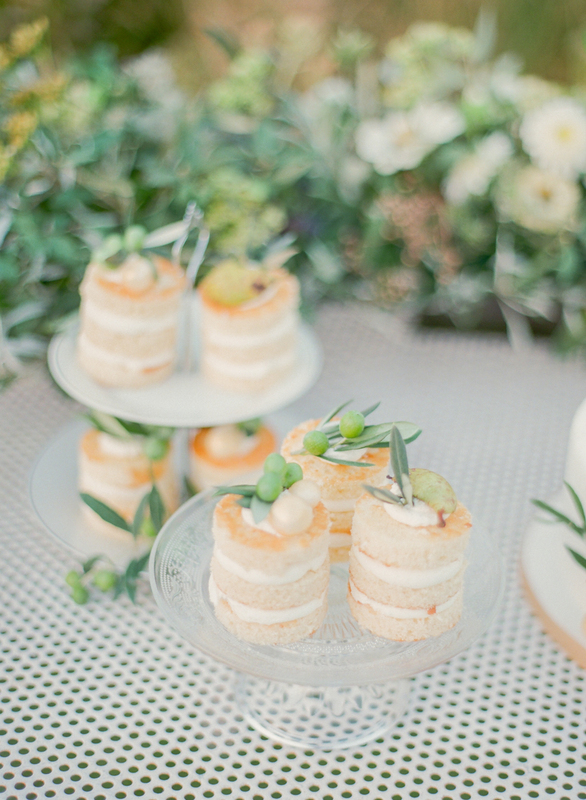 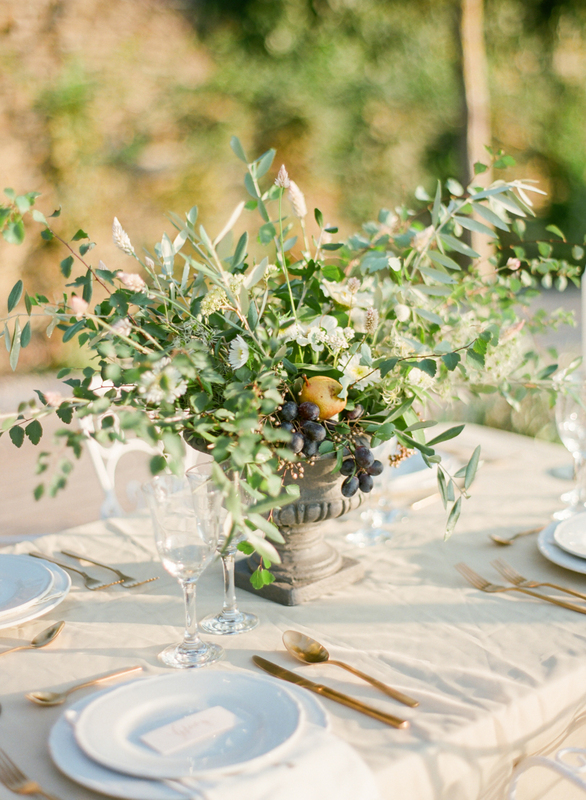 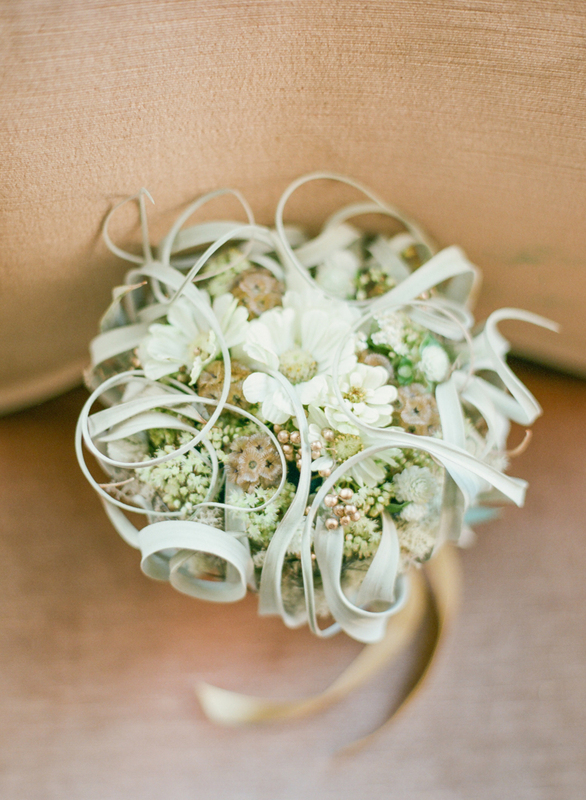 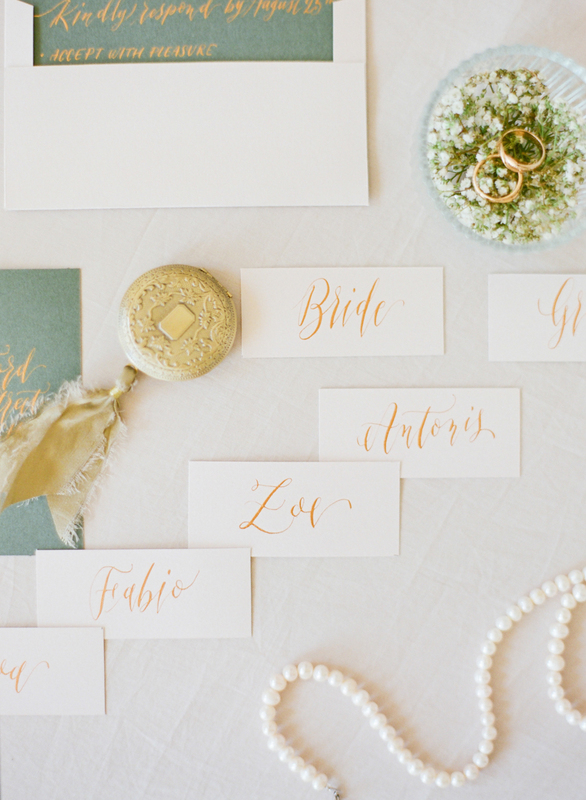 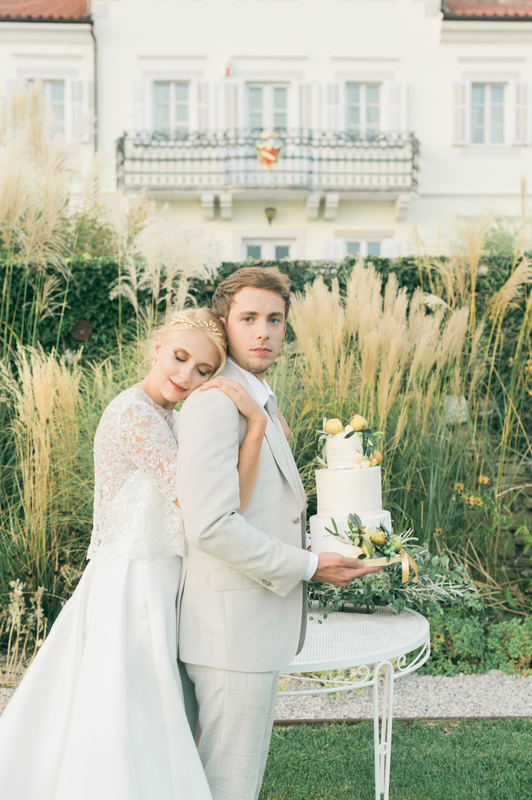 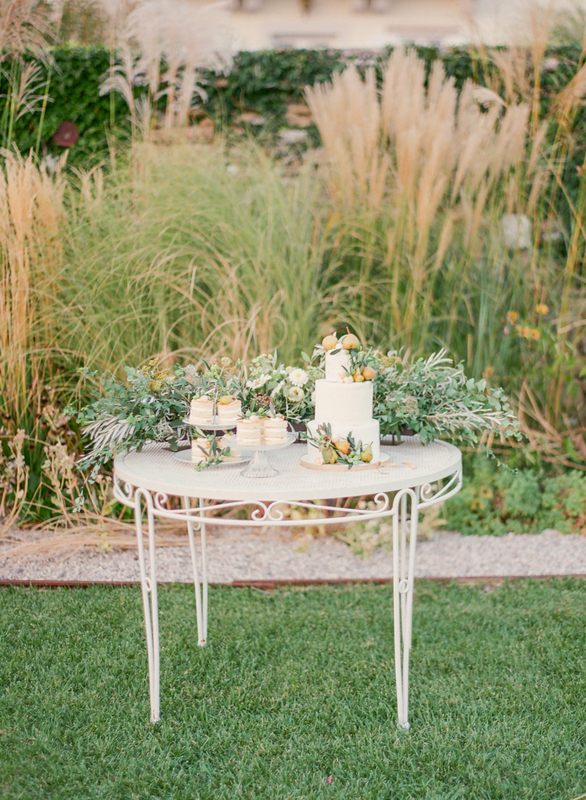 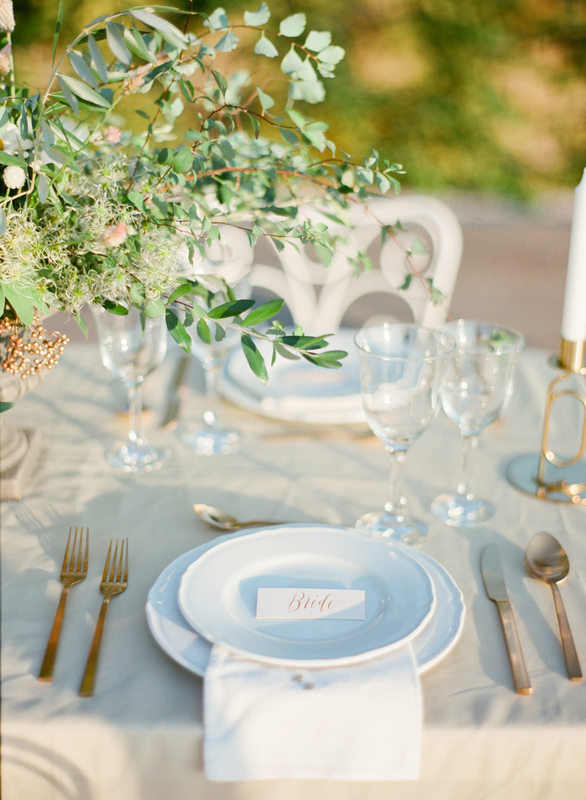 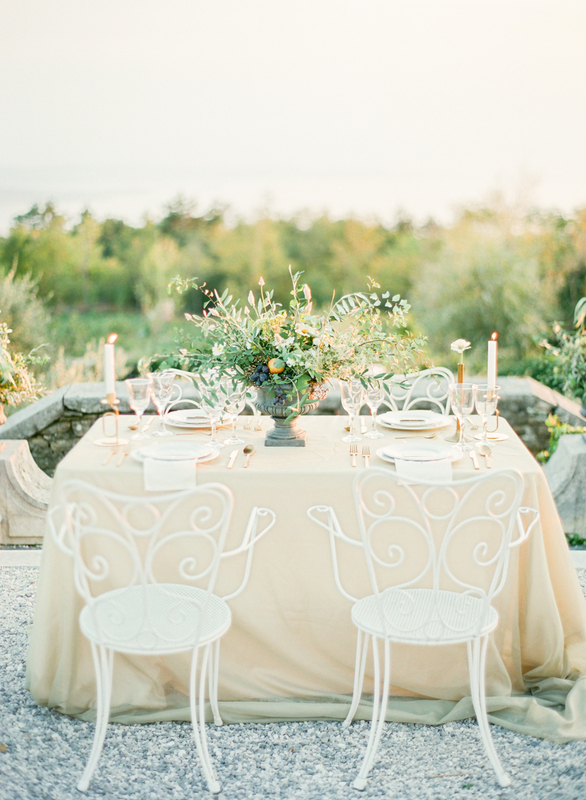 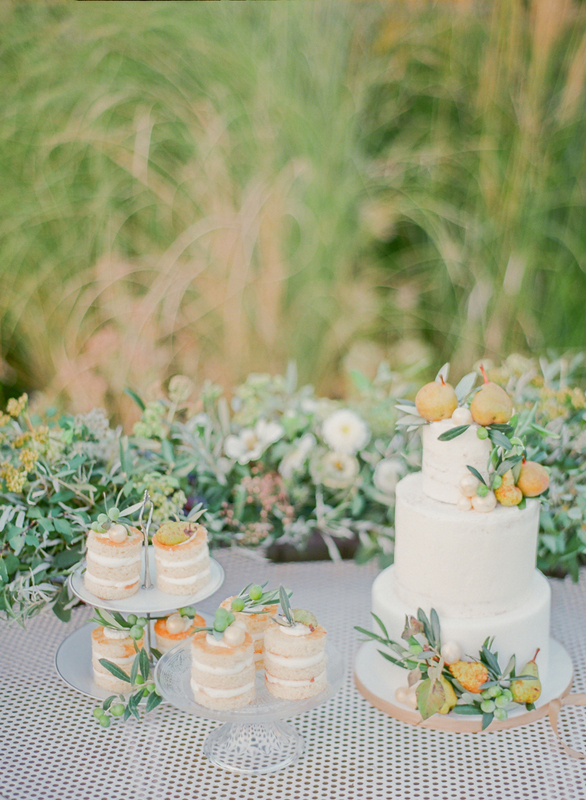 This wedding shoot in Italy used the palette of nature with wheat and cream warmed by subtle peach and olive yellow. 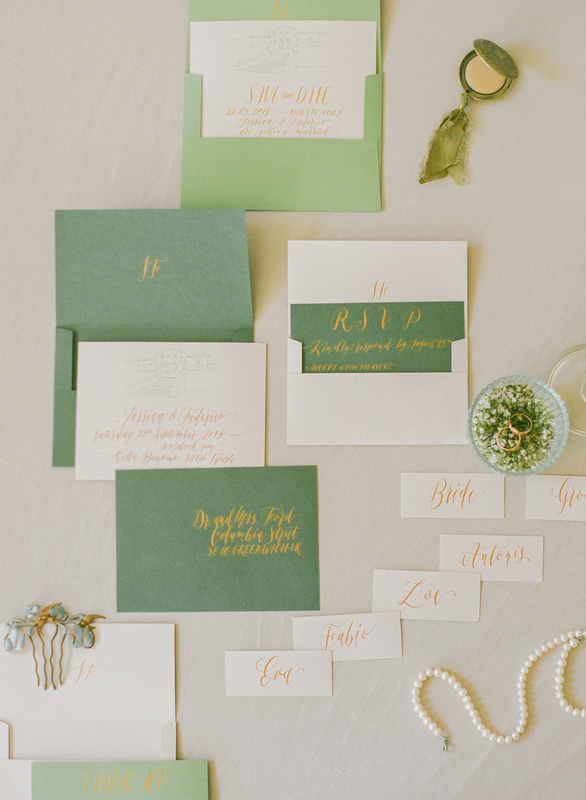 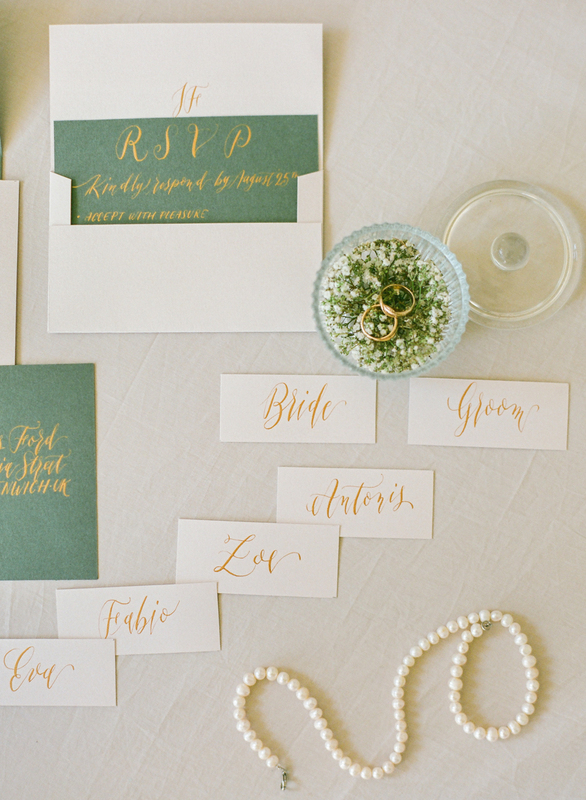 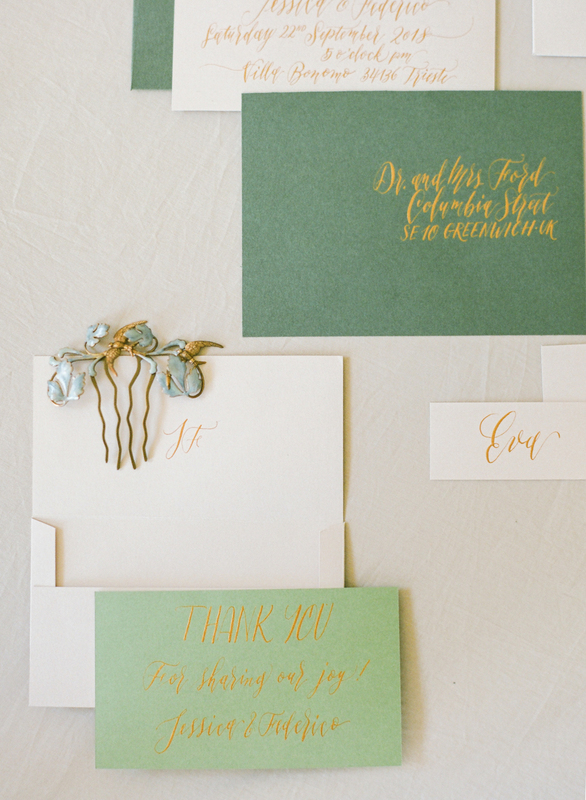 The wedding invitations told a story of togetherness across lands and simple, natural values. 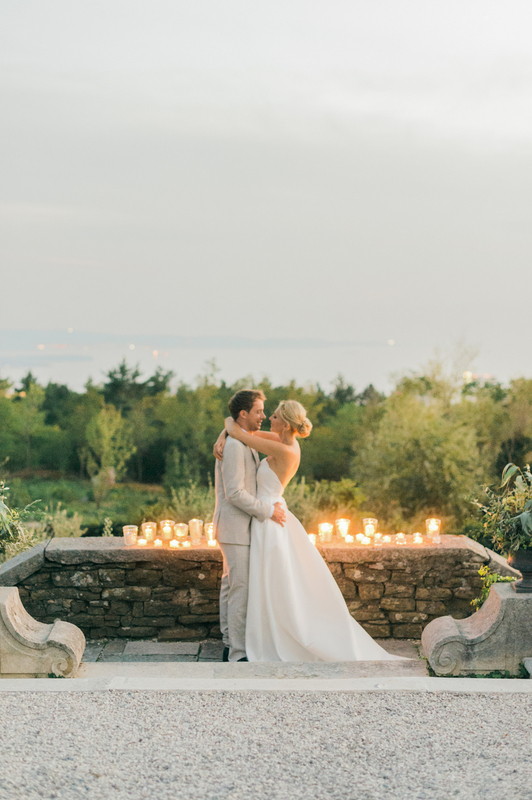 By the glow of a sunset and with the sway of the ocean beside us, this dream of an Italian wedding was brought together by careful planning and attention to detail. 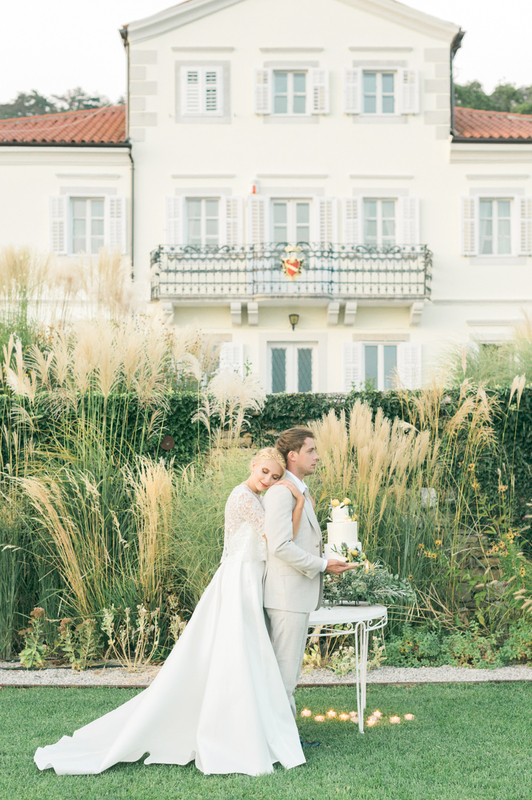 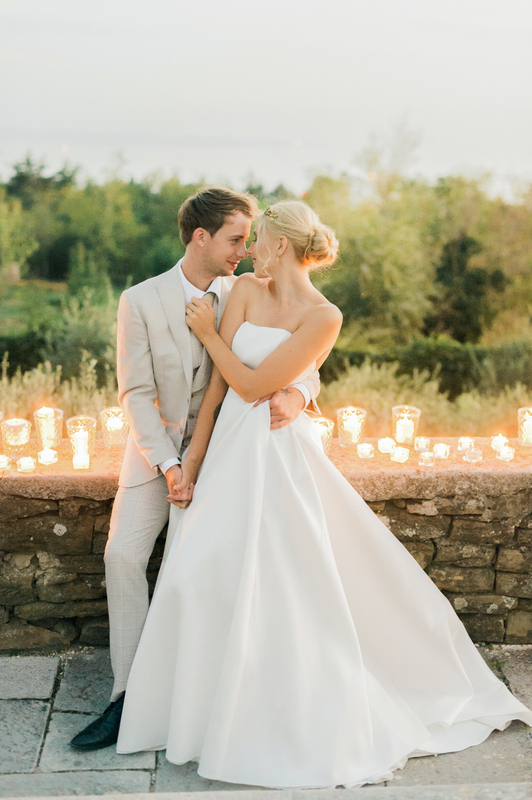 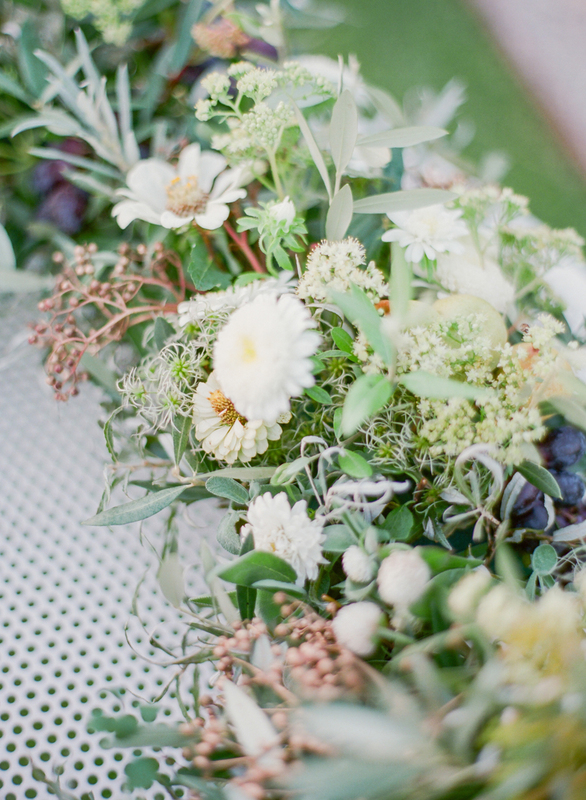 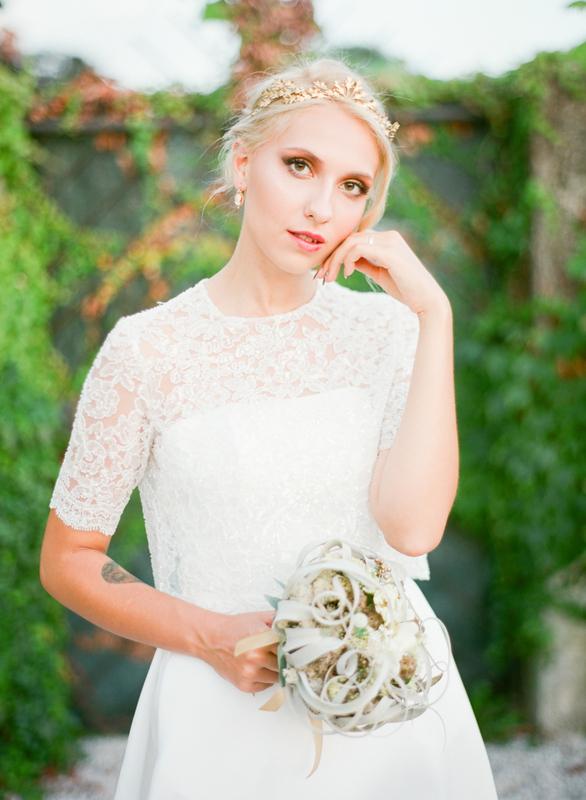 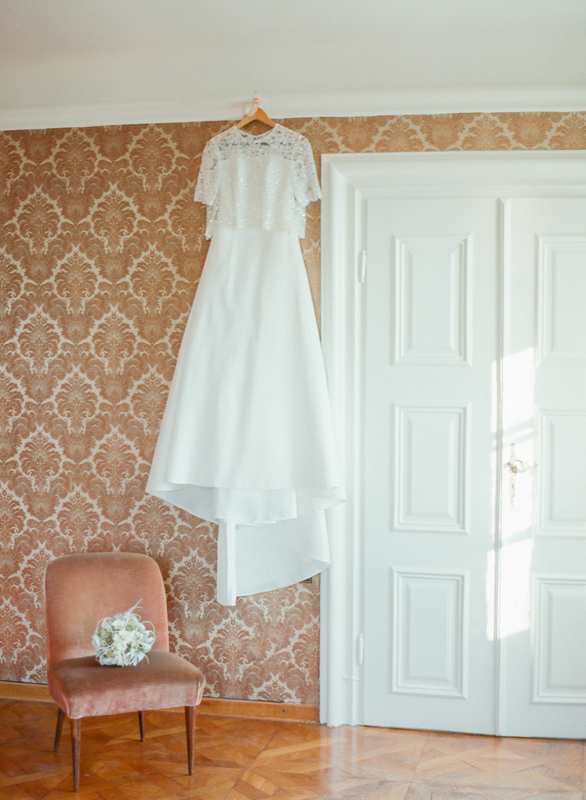 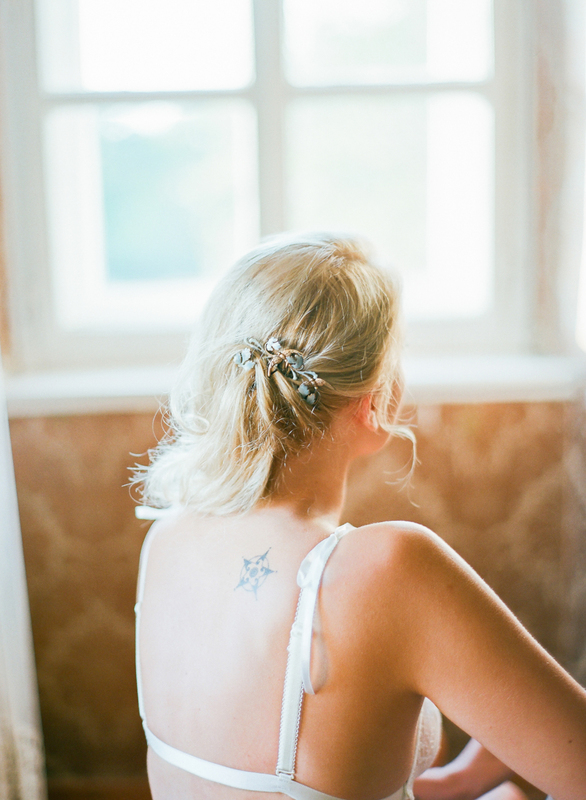 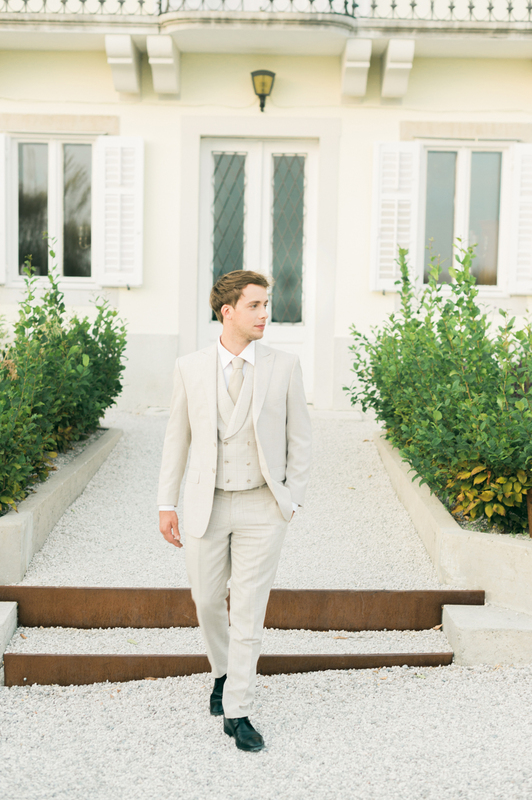 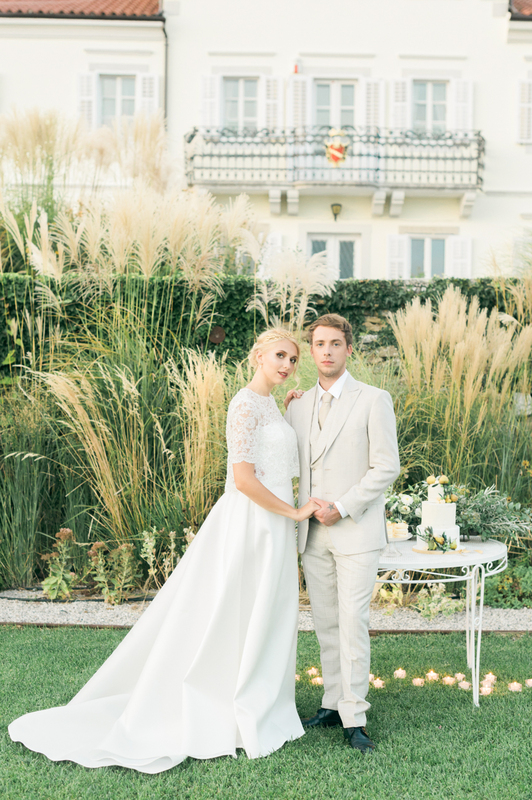 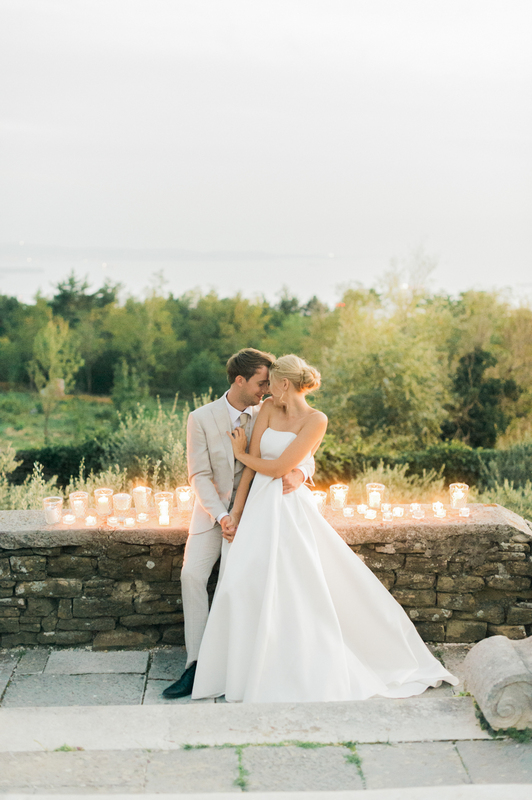 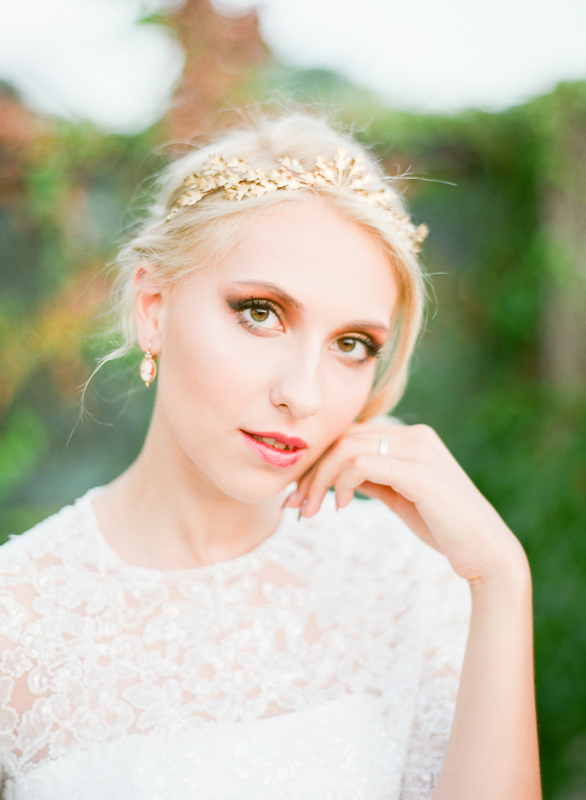 Our sumptuous wedding in Italy was held by perfection and presented with pure love.